Then browse down to the “lightbox” menu. On your right, you’ll see the different lightbox options. Choose the option that best suits your needs and remember, the design can be customized and the content can easily be changed. 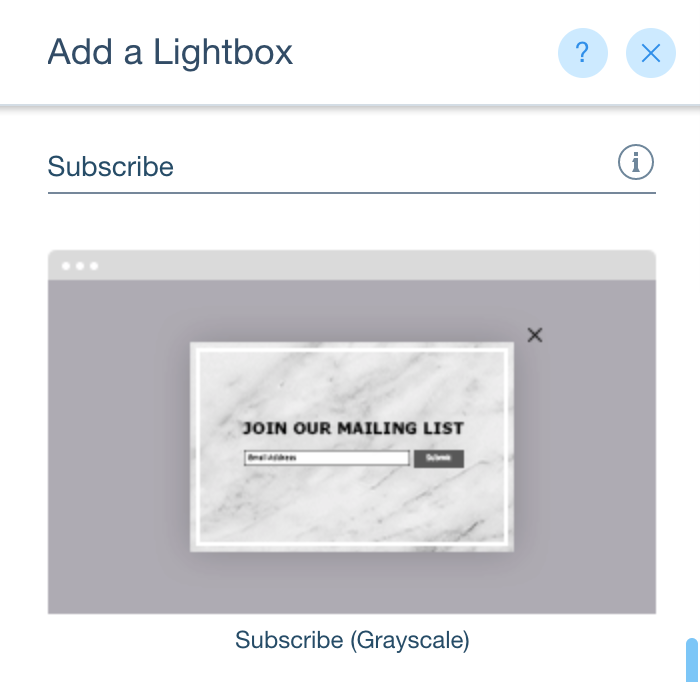 After you’ve added one of the options to your site your editor will now allow you to edit the lightbox just like you would any other page on your site. You can edit the design, layout, background, position and of course the content of the lightbox. 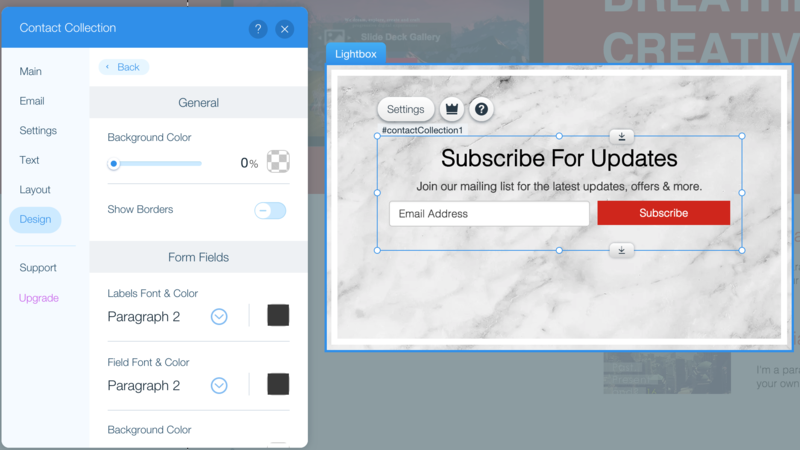 Now all you have to do is add the Contact Collection Widget to your lightbox, click the add apps on the left side of your screen, and add Contact Collection from the Wix app market. If you already have a Contact Collection form on one of your pages, you can go back to editing that page using the “Site Structure” menu on the left side of the editor. Then click on the form you have previously created and cut and paste it into the lightbox. After following those steps, when you visit the preview mode you’ll be able to see your newly created lightbox. Feel free to use a mix of on-page forms and lightbox forms as Contact Collection supports both variations. You may add as many forms as you want to your site. Congrats, you have just created a beautiful lightbox.